Trailers initially conceived for BLOKs of 4 or 8 empty containers may now be the key to the quicker use of tandem lift spreaders moving laden containers at terminals around the world. 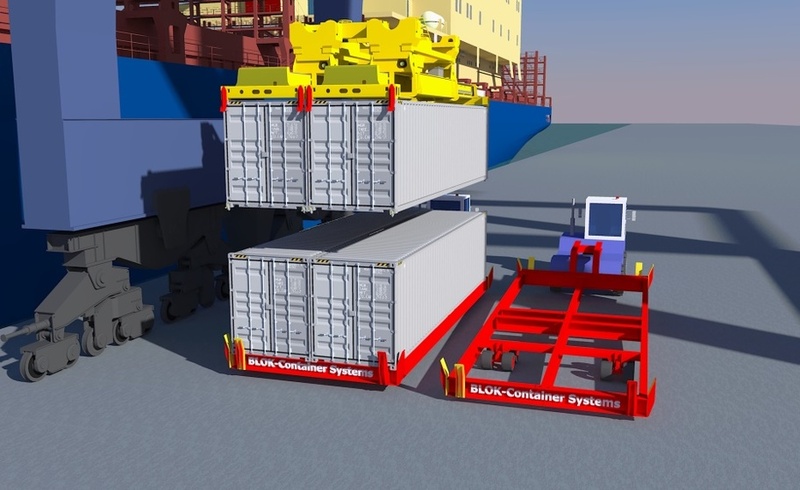 The combination will be of great assistance to terminals faced with the challenge of loading and unloading bigger ships faster and more efficiently, said Selwyn Rowley of Director of Sales and Marketing for Blok Container Systems. Use of the BLOK Trailer overcomes several current issues for terminals seeking the efficiencies promised by equipment that can lift multiple laden and empty containers but then has to use up valuable time trying to align the load with individual container trailers. In November last year at the QSOE demonstration of the BLOK Container System, Hutchison told us that their Tandem Lift spreaders do not gain the time savings they should because of inaccurate trailer alignment, which the BLOK Trailer will now overcome. The new system also helps to address safety concerns. If the laden containers or indeed empty containers have come from the deck, then they will also have projecting down from their bottom castings , four twistlocks each which are currently often removed manually whilst the crane dangles the containers in the air. The BLOK Trailers transport laden containers in accurate alignment with the crane so that the tandem lift spreaders can pick them up quickly or lower them down quickly on to the trailer together. No twistlock feeders are needed on the quay or indeed at all because the BLOK Trailer includes twistlock feeding at each container casting position. The twistlocks are pre-fitted or removed off quay making the operation safer and quicker. Then there is the potential to lower a second couple of containers onto the trailer so that four, laden 40fts or 8 laden 20fts can be transported along the quay with one tractor unit. Empty or laden containers can be mixed with the laden containers on the lower level. After off- loading one pair of containers the trailers can be driven along the quay to a second crane for loading the second pair. 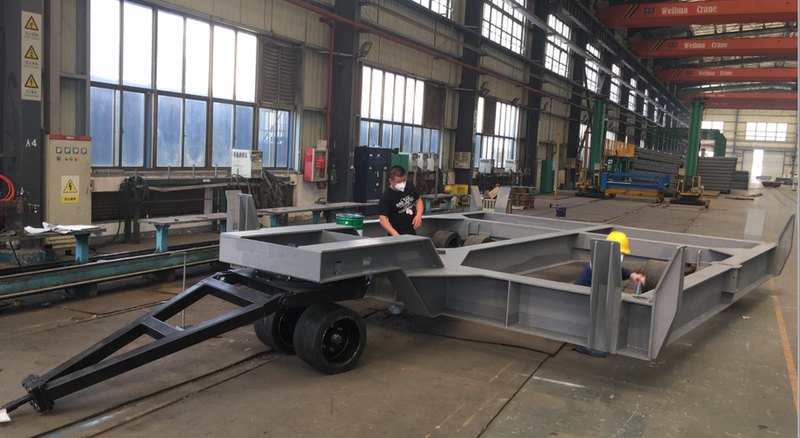 The new trailers are patent applied for and currently under construction and trials at Singamas QSOE in Shanghai, China and will be available to purchase later this year.